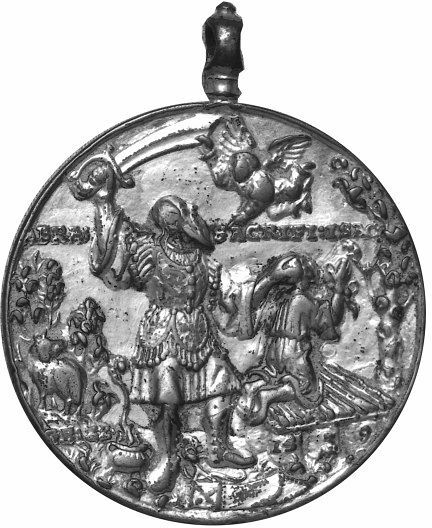 This medal depicting the Crucifixion and Abraham about to kill Issac was made by Hans Reinhart the Elder in Germany, 1539. Obv., the Crucifixion. On the left border, the Brazen Serpent instead of a church. 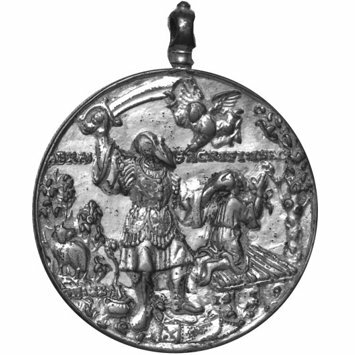 Rev., Abraham about to kill Issac; an angel overhead stops the sword with his hand. Behind, the ram caught in the thicket. 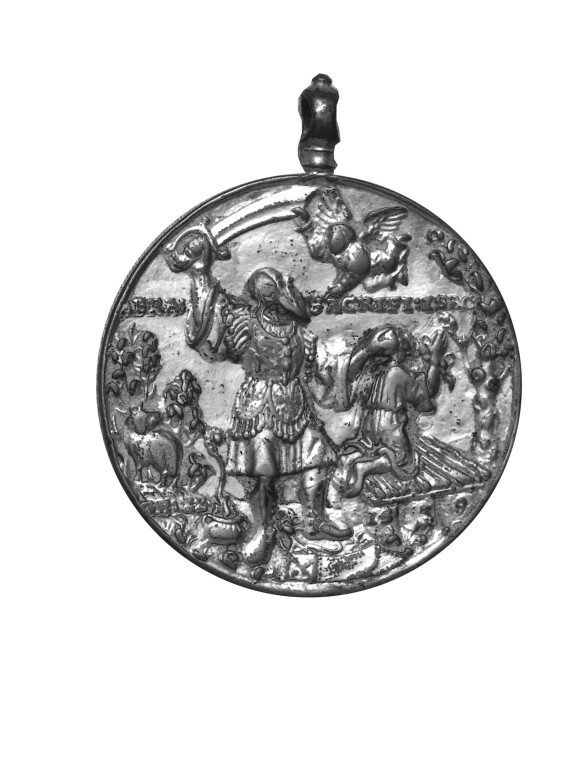 This medal has a suspension ring.